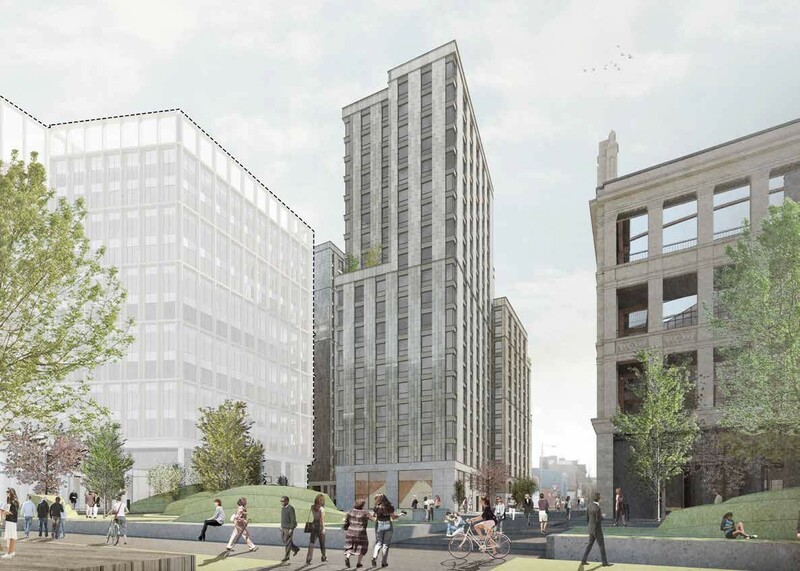 Drum Property Group are maintaining momentum at Buchanan Wharf with a detailed application for a build to rent tower on the eastern edge of Tradeston in Glasgow city centre. 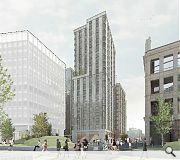 The £85m development will deliver 324 apartments as part of a wider regeneration of three city blocks anchored by Barclays Bank the scheme overlooks the planned Kingston Square by way of a ground floor commercial unit and seeks to extend the city’s urban grain across the River Clyde. 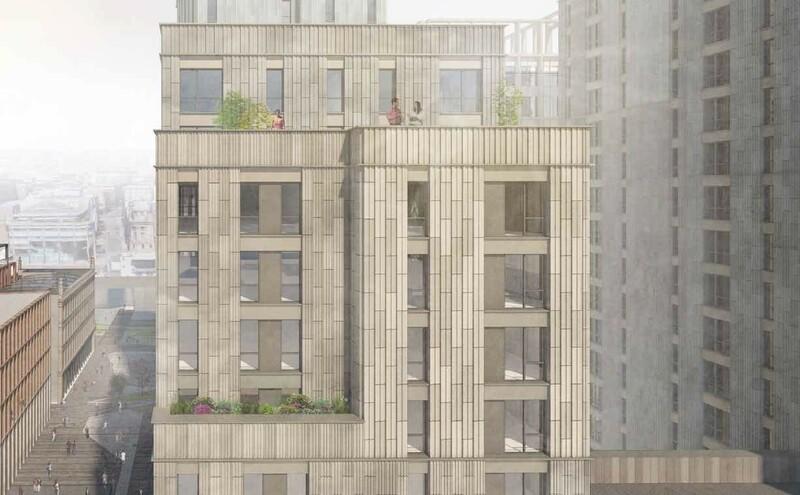 Designed by Stallan-Brand architects the development will employ vertical format terracotta ‘planks’ to evoke a hand-crafted image above a hardwearing glass reinforced concrete base. 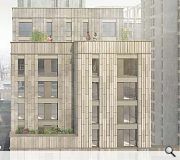 Two communal terraces will be provided on the first and 16th floors. Woah, got to say that looks fantastic! Very much looking forward to this becoming a reality. The massing looks great , especially the Lutyens style dissolving corners. Though i was hoping for a little more ornateness. 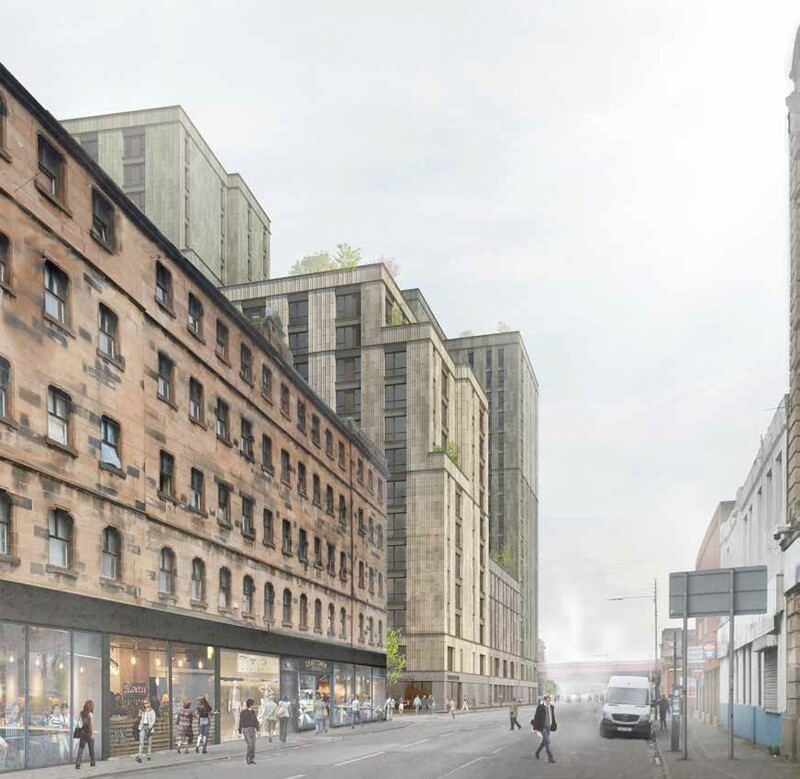 Stallan-Brand are developing plans to renovate and extend the Beco Building but there has been no formal planning application. Lovely tower, incalculable improvement on what was there before, and very welcome. Not sure it has much to do with Edwardian architecture, but it'll be very welcome nonetheless. 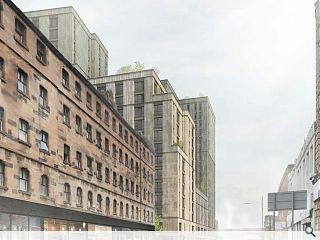 It'll transform the impression of Glasgow as you arrive into Central, and will hopefully lead to wider regeneration of Tradeston. This is fantastic. Interesting material, nice scale, classic design. LIFE ON THE CLYDE WITH ALL THESE NEW RESIDENTS AND WORKERS. £262K per flat -- £85mill for 324 -- points to a monthly rent of £1500 / £2000. Not credible for the site or the city. File under fail waiting to happen. The perspective view looks great, even if far fetched.